На 20-ти февруари от 18:00 ч. до 21:00 ч. 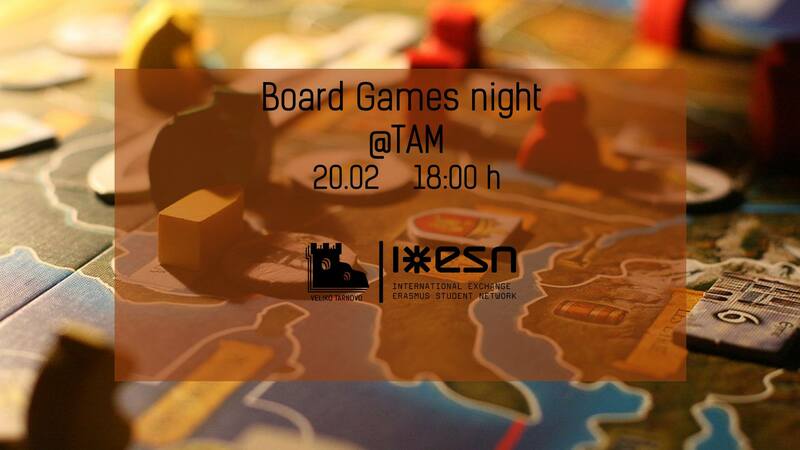 After we got to enjoy the beauty of our city, we will go to the cozy bar TAM to join them for the weekly Board Games event! Enjoy some cool games, amazing hot chocolate, and groovy music! !